Whether you are fairly new to Welshmill or have been a plot holder for a long time you will know that a consistent supply of water has always been a problem. We have tried a variety of different hand pumps with varying degrees of success. The last one was very effective when working but has needed regular repair and maintenance. It was with this in mind that the committee decided to investigate the possibility of a mains water supply. The cost of bringing a supply to the site is approximately £2,500. It will then cost a further £2,500 to install the necessary pipework and standpipes. A total cost of approximately £5,000. The committee has decided to go ahead with the complete project. The work will be paid for from our own funds and from grants we have been awarded. The water supply will be metered and therefore ongoing costs will have to be shared amongst all plot holders. We have decided to charge all plot holders a standard fee of £10 to cover the costs for the first year. At the end of the year we will review the situation. 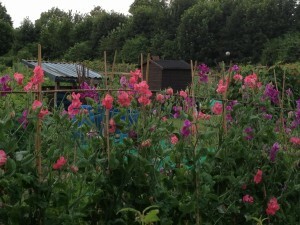 We have based this charge on advice we have received from other allotment associations. We hope you will see this as a positive step forward and that the additional cost is reasonable for the added convenience. The work will hopefully be carried out in March and will take 2 to 3 days to complete.